To better control and prevent petroleum, oil, grease, and sand from entering the collection system, facilities may need to install a sand/oil interceptor prior to discharge into the sanitary sewer. Automobile maintenance and repair shops, car washes, and commercial parking garages have the potential to introduce these contaminants into the sanitary sewer. Prior to building construction or remodeling, construction drawings including plumbing and details of the sand/oil interceptor shall be submitted to their local land use agency. Plans submitted to the City of Littleton and the City of Englewood will be reviewed by South Platte Water Renewal Partners for compliance with the Petroleum Oil, Grease, and Sand Policy¹. 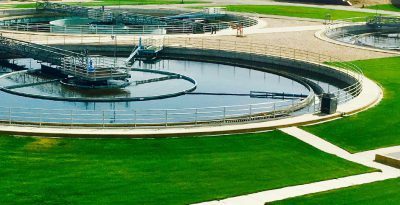 Plans submitted to other cities or counties will be reviewed by the partner wastewater management agency for compliance with their rules and regulations. Best management practices to manage petroleum oil, grease, and sand include installing drain screens, storing and managing chemicals and chemical waste properly, and sweeping or dry wiping floors prior to wash down. Employees must be trained to employ these best practices. Once trained, complete the Employee Training Form (English² or Spanish³) and hang sink signs as reminders.